Congratulations to "Robin D.", the winner in this giveaway. Thank you to all who participated! With an imprisoned serial killer for a father, rancher Ethan Colton never planned on continuing the tainted family name. But six months after a night of passion with a woman from his past, Ethan discovers he's about to be a dad. Beautiful, independent Lizzie Conner turns up at his Texas ranch expecting nothing but protection from the guarded cowboy. A stalker is fast on her trail, leaving creepy gifts and notes threatening her and the baby. Now all that matters to Ethan is keeping his unexpected family safe—and out of a killer's clutches. I had so much fun writing COLTON’S SURPRISE HEIR. 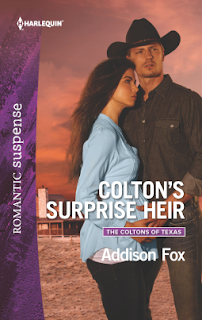 The Colton family is a staple in the Harlequin Romantic Suspense line and when I heard this year’s continuity was set in Texas – where I live! – I was so excited to dive in to my story. While I don’t typically write with music on, I always have a series of songs that I listen to during the time period I’m writing a book. Songs that make me think of the story, or one of my characters, or just something funny that seems like a fit. For COLTON’S SURPRISE HEIR, there were five songs that particularly stuck out. I fell in love with this song when it was used in the film Hope Floats, and it struck a chord with me for this book. When the story opens, Ethan discovers Lizzie is 6 months pregnant. The two of them had gotten together at the county rodeo several months prior. In my mind’s eye, I always saw the two of them dancing, just like Sandra Bullock and Harry Connick, Jr. did in the film. This song is absolutely key to that scene. Lizzie really comes into her own in the course of the book and this song just fits. There’s really no other reason than that! Ethan and Lizzie knew each other as children, but come back together as adults in the book. There’s a knowledge of each other, an attraction and a tenderness that was so much fun to put on the page. These characters really came alive to me and this song is such a wonderful ode to being in love. Ethan and Lizzie are two souls who are a bit adrift and even though the entire book takes place in Texas, the idea of someone waiting at home is a powerful image and fit the two of them. 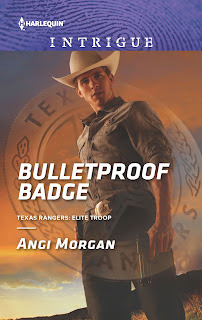 His key witnesses dead, Texas Ranger Garrison Travis had to protect innocent bystander Kenderly Tyler. Her crucial evidence had two very dangerous Texas crime families willing to do anything to keep her quiet. But Garrison's undercover status had branded him a killer, and now the bad and the good guys were after them both. Kenderly & Travis’ song is SUNRISE by Rascal Flatts. The first verse is perfect for them. If you can’t read to music, try using the soundtrack to KNIGHT & DAY. I love this album and write each book to it LONGMIRE and the sound track from R.E.D. Liz Cantrell is terrified when she receives a call from a man holding her newlywed sister captive—and she's convinced her sketchy brother-in-law's involved. Willing to pay any price for her sister's freedom, Liz flies to Niagara Falls with the ransom: an uncut diamond necklace worth millions. But the moment she lands, a handsome, world-weary Immigration and Customs Enforcement agent takes her into custody. Blake Fallon's determined to catch a ruthless diamond smuggler—and the pretty antiques dealer trying to save her sister could be just the break his case needs. But as they team up to rescue Liz's sister and trap the criminal mastermind, a desperate standoff will threaten everything they hold precious—including their lives. I can’t write without music playing, the more upbeat the better. Here are some songs that make me think of my characters from Ransom and their love story. 1. Niagara sung by Sara Evans --this country love song is so pretty, full of conflict and angst. And the book is set in Niagara Falls, after all. 2. All for Love sung by Rod Stewart, Bryan Adams and Sting—the awesome talent of the three guys notwithstanding, this is such a powerful song and I think of Blake, the hero of Ransom, when I hear it. 3. Some Kind of Wonderful sung by Michael Bublé—such an upbeat tune and the words are indicative of Blake and Liz. They both are so closed off yet they have all these feelings that they don’t know how to express. 4. Waiting for a Girl Like You sung by Foreigner—not only is this my absolute favorite song from one of my favorite bands (I saw them in concert three times when I was in college-okay dating myself!) but also it speaks to the heart of Blake and Liz and the wounds of the past and the hope for the future. 5. Here and Now sung by Luther Vandross—a throw back to the 80’s but one of the all time best love songs and perfect for Valentine’s and for Blake and Liz’s HEA. One lucky person leaving a comment or email entry will win a copy of all three books! Giveaway ends 11:59pm EST Feb. 28th. Please supply your email in the post. You may use spaces or full text for security. (ex. jsmith at gmail dot com) If you do not wish to supply your email, or have trouble posting, please email maureen@justromanticsuspense.com with a subject title of JRS GIVEAWAY to be entered in the current giveaway. US residents only. I can't write or read while listening to music, but I love hearing what songs are associated with the books, and sometimes when I hear them I can feel the connection to the book I just read. You're so right Misty ! What a great selection of songs. Yes, I do listen to music when I read. Sometimes, even have the TV on, too. Country music is by far my favorite--definitely the best love songs. Words you can relate to ! I like background noise when I read...music...esp. country is my first choice. These books are a great giveaway! I'm a wordless music-in-the-background reader/writer. But I do use music while I'm thinking and letting the story brew. Good luck Trude. I can relate...I start singing the words to the song instead of reading the words of the writer. Good luck Robin. I usually tune things out when I am enjoying a book... so most of the time I do not have any music on... 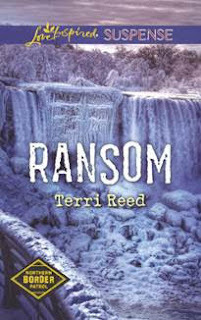 I really love that cover for Ransom... my eyes keep going back to it! That makes sense Colleen ! I love listen to music and when I am reading I sometimes think of songs that fit the story I'm reading. Many of the missing character stories brings to mind the song 'Somewhere Out There' from American Tale. It fits so many. LOVE THAT SONG, Mary. I used to sing it with my daughter !